World Cruising Club run some of the world's most famous cruising rallies including the ARC. As sailors ourselves this site is close our hearts. We set about the difficult task of managing the complex process of joining boats, skippers and their crew to form the rally entries in such a way that each was responsible for entering and managing their own data. 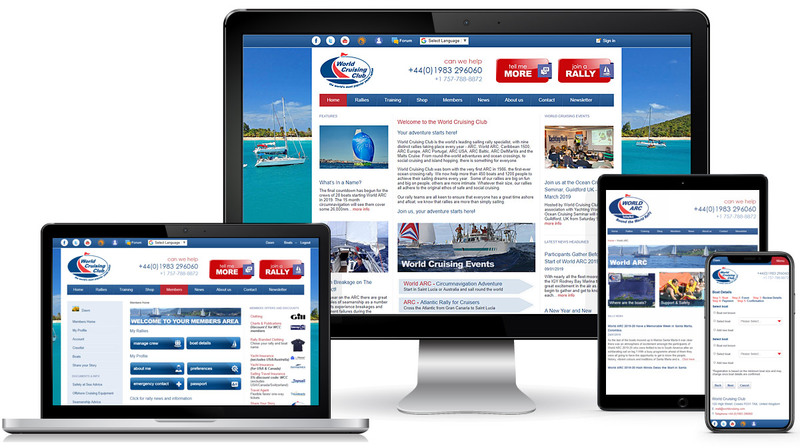 Netguides provide the World Cruising Club website with integrated online booking, crew management and event declaration functionality. This is backed by a Gema management system to provide the admin, documents and reporting and an API to which other event critical software can connect. BRIEF: To create a website and management system that would promote the cruising events and provide for boat owners, skippers and crew to book into and provide the required information to enter an event.